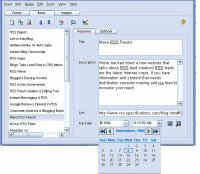 RSS feeds can significantly increase website traffic. RSS feeds generated by other means can be automatically repaired, so that they conform to the RSS 2.0 specification. Existing feeds can be enhanced to contain advanced feed properties, and give them a more professional look. Day to day feed maintenance can be handled simply with FeedForAll. 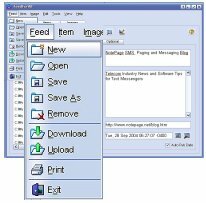 Feeds can be exported to HTML, CSV or text files. Features such as automatic publication date handling and field defaults enables users to keep their feeds up-to-date with minimal effort. Simply put, FeedForAll is everything you want and expect from a RSS creation and maintenance tool.